Hi, everyone! 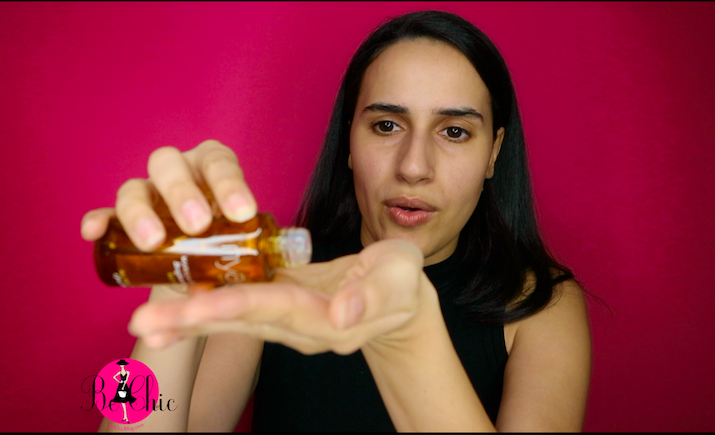 If you're following me on Instagram, then you probably saw a preview of my new youtube video were I'm sharing my toxic-free skincare routine. Watch the video below to see how the products I use daily. And if you're not already following, please subscribe to my channel @BeChicTV on Youtube. About two months ago, I bought this Derma E charcoal clean from WholeFoods. I find the skincare products there a little expensive, but it's worth it because they don't contain harmful chemicals. After the facial cleanser, I spray a floral toner from Andalou Naturals. When I don't want to wear foundation, I apply this CC Cream. It's also from Andalou Naturals. I love that it's a tinted moisturizer and has SPF 30. I usually mix the tinted moisturizer (or foundation) with this Nyakio Beauty Brightening Oil. And when it comes to deodorants, I first tried Andy O. Organics in the summer of 2017 and I highly recommend it! It doesn't contain harsh chemicals and you will not stink. Check them out at AndyoOrganics.com.